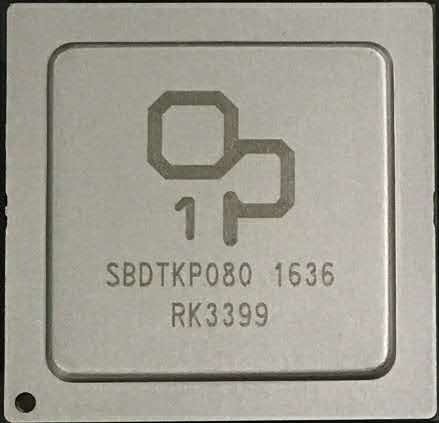 http://whatisop.com details the OP1 ARM Processor optimized for Chromebooks, it's the Rockchip RK3399-C Hexacore 6-core, dual ARM Cortex-A72 and quad ARM Cortex-A53 in big.LITTLE formation with Mali-T860MP GPU. I believe that OP1 is the big push by Google and Rockchip, together with manufacturing partners such as Samsung shipping with Samsung Chromebook Plus from February 12th for $449 at Amazon.com to finally push Chromebooks to a Billion users worldwide, now with OP1, I believe that they have optimized the processor for mass market Chromebook success, with an optimal performance, power consumption and price point. They have worked for over a year on the OP1, to optimize it for the Chromebook market. As you can read on http://whatisop.com the OP1 chip is optimized for smooth low power consumption web browsing on super nice high resolution displays, with dual USB Type-C connectivity, fast reliable Wi-Fi connectivity, up to 4K playback, it uses GPU Compute to optimize the performance of every aspect of the Chrome OS web browsing UI. Fonts, scrolling, displaying images, animations, video, all is optimized, improved and accelerated also by the Mali-T860 GPU. Unlike Intel x86 Chromebooks, the OP1 platform runs all Android apps natively without emulation, that means that all the advanced Android apps optimized for productivity, such as Microsoft Word, Excell, Powerpoint, many other productivity Android apps such as OfficeSuite and PDF Editor, Free Office, Docs to Go, also Google Drive, Polaris Office, Quip, WPS Office and PDF and thousands of other productivity apps already available on Android, and thousands of advanced games on Android, all these apps are optimized for ARM, with Native Code in them that just runs better on ARM. I would guess that running any of these thousands of advanced Android apps might consume half the power to run on ARM compared with x86.